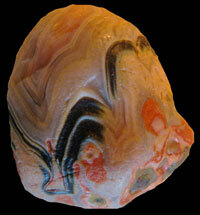 There are several great agates to post in this month's update. 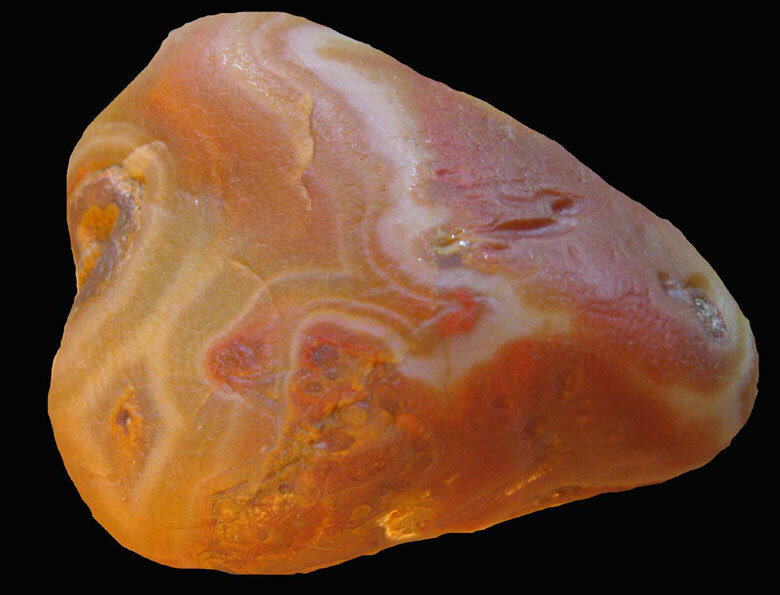 Let's begin with a whopper 16 pound agate found decades ago by the grandmother of Paul Mihelcich near the tip of the Keweenaw Peninsula, located in Michigan's Upper Peninsula. 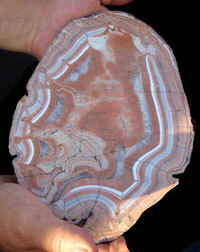 She knew it was agate because of a fracture that exposed the banding. It has the typical pink paintstone color that is common in Keweenaw agates. 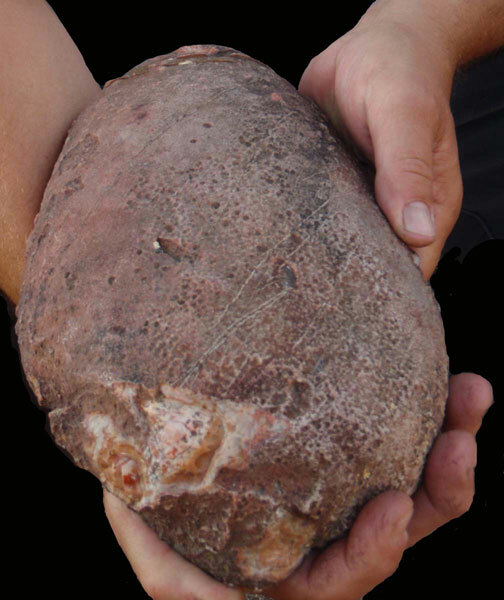 She had it cut in half at the Seaman Mineral Museum. Paul still has both halves. 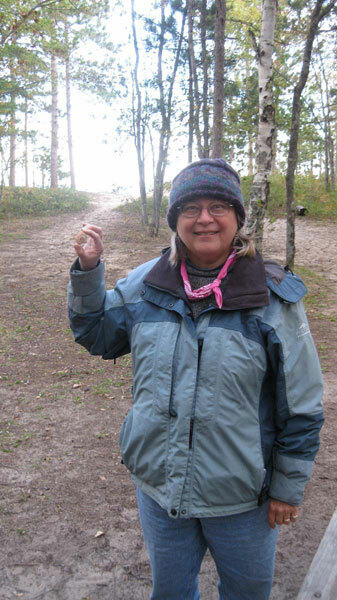 Next up is my friend, Denise Reitz from Interlochen, MI, who found an agate as well as a spirit stone. 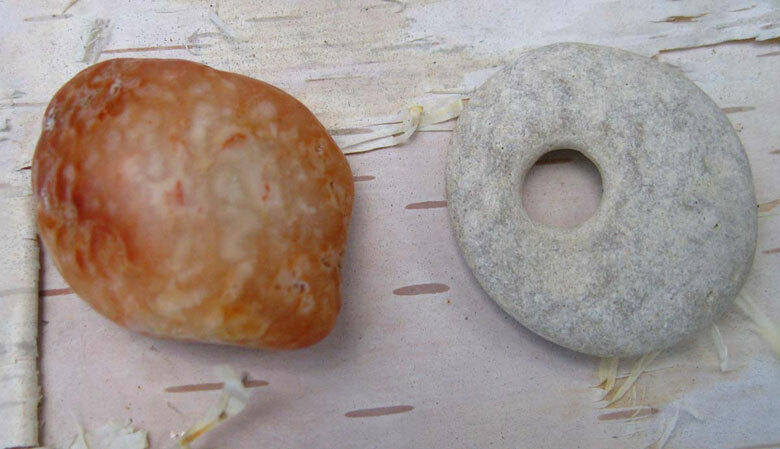 We call spirit stones any specimens that have a hole all the way through them. 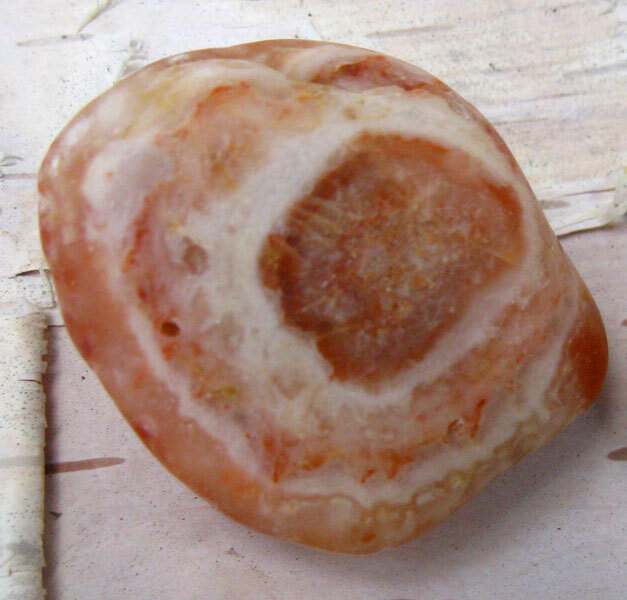 This is a perfect spirit stone that is ready to wear as a pendant. The agate was "glowing" at Denise as she walked on the beach in an orientation that allowed the sun to shine through the rocks. My husband and I just returned from five days in the UP--we had a great time! 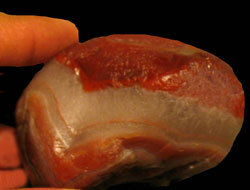 We visited the Agate Museum and enjoyed it immensely. 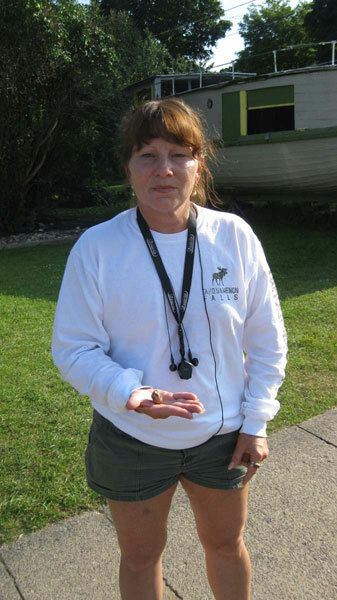 My husband was especially taken with the Shark and its history. I bought your new book while we were there...I had already found a couple little agates (one is an eye agate!) 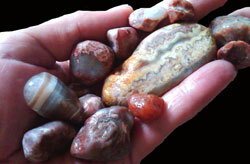 but learned to "think like an agate" and then found a bunch more. Our final day camping at Muskallonge Lake I made one final early morning sweep before packing up. Not 15 minutes before I had to leave the beach I found the big one (well, big to me) in my hand! I was so glad I opted to go to the beach one more time!!! 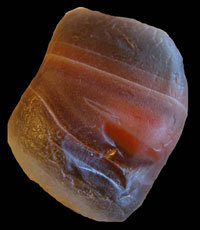 The last agate was found in the Grand Marais area by Joel Brussell, who was visiting from down state.